Hiking a portion of the PCT. This is the way to hike if you only want to see the best parts of the trail or have limited time. Lately there have been more definitions as to what a "thru-hike" of the PCT is, but the one thing they all share in common is the part about taking your photo at each border within one lifetime. Traditionally a "thru-hike" meant hiking the whole way from Mexico to Canada in one season entirely on foot. (from pctmap.net): Notice this section of trail in Northern California. Even in cases where I took the "same trail" in 1996 and 2013, the trail's geographic location changed in between my two hikes. 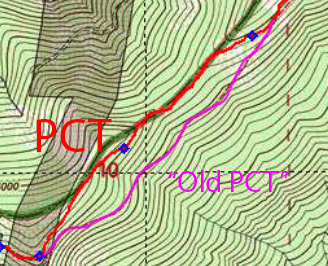 The "old PCT" (in pink) is still physically there, but at some point, it has been slightly rerouted for a very short distance to the one you see in red. 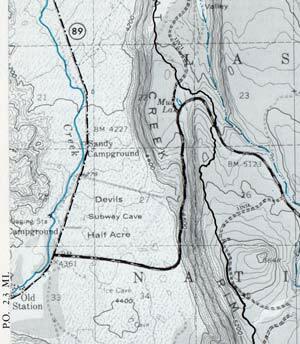 PCT 1977 Guidebook: The PCT route hikers take has constantly changed over the years, here it is (the squiggly black line) southeast of its current location (near Old Station and Subway Cave). OR/WA PCT 1992 Guidebook: The PCT went over Sawtooth Mountain in Washington and hikers usually took this route because it had some wonderful views. 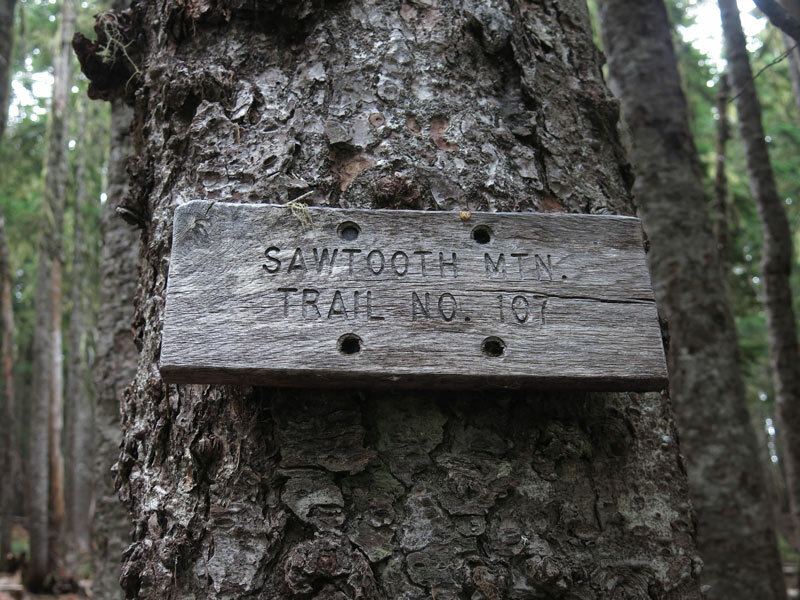 Now, PCT hikers don't take this route because the signs (and various guidebooks) call this "foot trail" the "Sawtooth Mountain Trail" now. The PCTA gives you "PCT Completion Medals", not "PCT Purity Rings". Ahem. 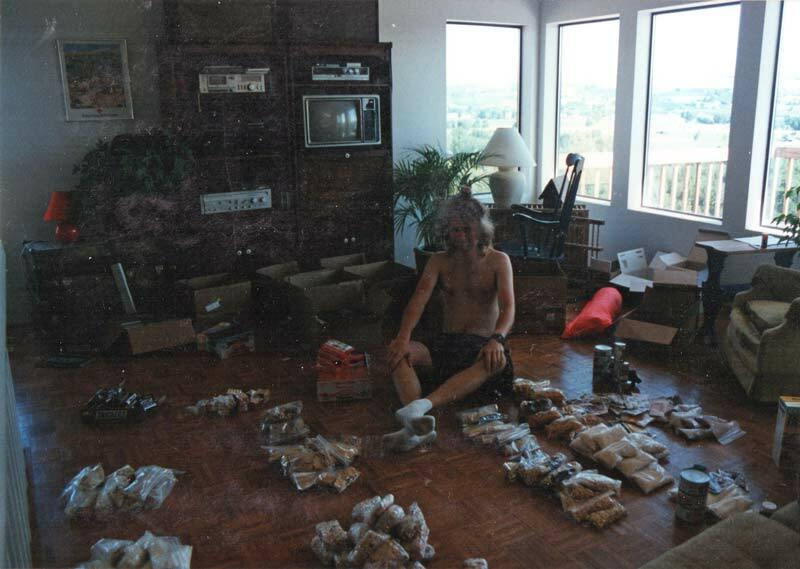 The only thing consistent between a PCT thru-hiker in the 1970s vs. one today is the fact that they both walked unbroken steps from Mexico to Canada following a "general" route through the mountains of California, Oregon, and Washington. I met a woman who had thru-hiked the PCT in the mid 1970s and I asked her about the route in Northern California. Her response: "Some of us went to the left of Mt. Shasta, others of us hung a right". Some people are very picky about sticking to the official PCT (a purist), but I never saw the point simply because the "official PCT route" is rarely the same patch of physical dirt from year to year, or in some cases, within the same hiking season. The most common reason the PCT route changes is due to temporary closures, such as wildfires or endangered species detours. Trail crews constantly move the PCT out of boggy meadows or away from landslides. 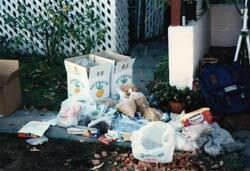 In 1996 and 2013 I stuck to the official PCT for all of California, yet I know I didn't hike the exact same trail. See the example at the right. It also works in reverse. 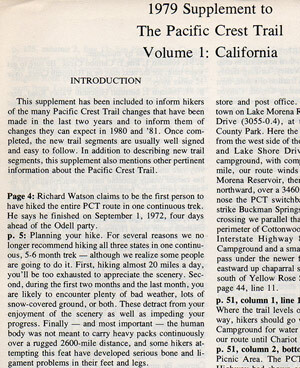 Trails that were considered the "old PCT" in the 1990s are now called the "hiker PCT" in 2013. An example of this is the Goat Rocks Crest in Washington. 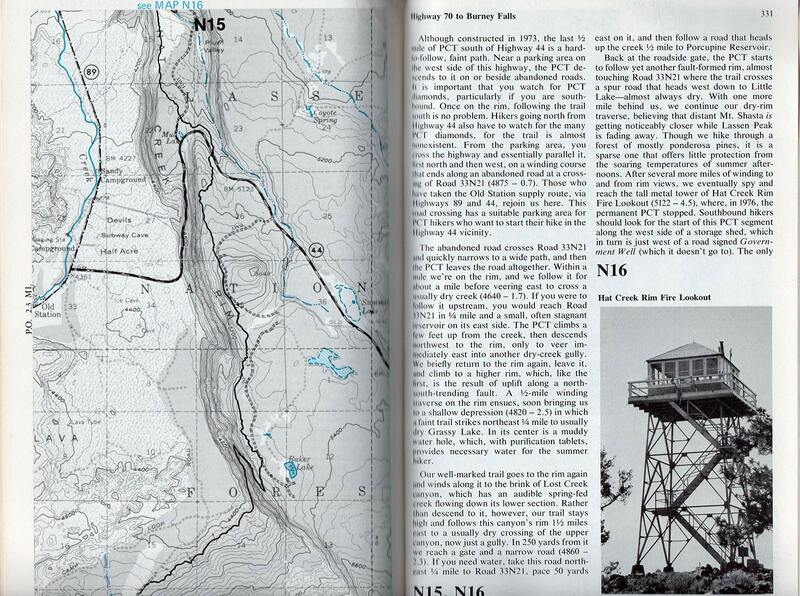 The guidebook and map referred to the newer trail across the Packwood Glacier area as the PCT. 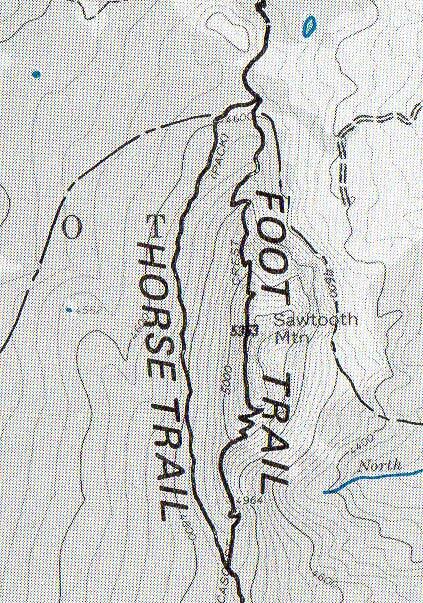 The higher "old PCT" route up near Old Snowy Mountain wasn't even drawn in on the map. 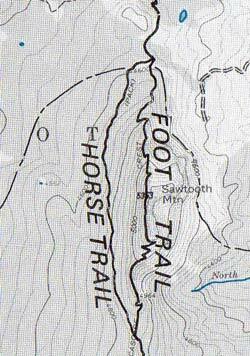 Now in 2013 the 1990s "old PCT" is now the "Hiker PCT" and the 1990s "new PCT" is the "Horse PCT". Confusing huh? Leaving between April 10th and April 30th is the most common. You can leave earlier than that if it has not been a heavy snow year. You can leave in Mid May, but you need to be a really fast and efficient hiker (eg 30 miles per day). If you leave too early and hike too fast you will get to the Sierras where there is still a lot of snow. 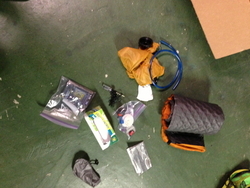 The biggest disadvantage to thru-hiking the PCT is that you need to stick to a schedule for the most part. Get to Washington by August 15th! This will give you a good month to go through Washington and ensure that you finish around September 15th.. It is one of the best parts of the trail and you don't want to be racing though it, nor being stuck with views of fog. After September 15th you start playing the weather lottery. You can still finish into October, but this might involve 1-2 week periods of waiting for storms to pass, buying cold weather gear, and possibly having to snowshoe through the North Cascades of Washington. Do not take a lot of days off in California unless you have to. One quick thing you can do is to look at the halfmile app and see how many miles you have left to Canada and divide that by 20. This will give you a rough guess as to how many days you have left on the trail. Always be aware of when you will most likely finish. I have met many hikers who realized too late that they now had to walk 25 miles a day with no days off to reach Canada, and they would get there when it would most likely be snowing. Some pushed onward determined to reach Canada, others just decided to just enjoy their time and stop when it was time to stop. Many hikers will just stop at the California/Oregon Border so they can have the feeling of going from one border to another, yet have a lot of fun in the process since they didn't have to hike a lot of long days. The majority of hikers head northbound just because you can have more time on the trail and less logistical nightmares due to snow in northern Washington. Lately it has been quite common for California to receive less than average snowpack but Washington to receive substantially more snowpack. 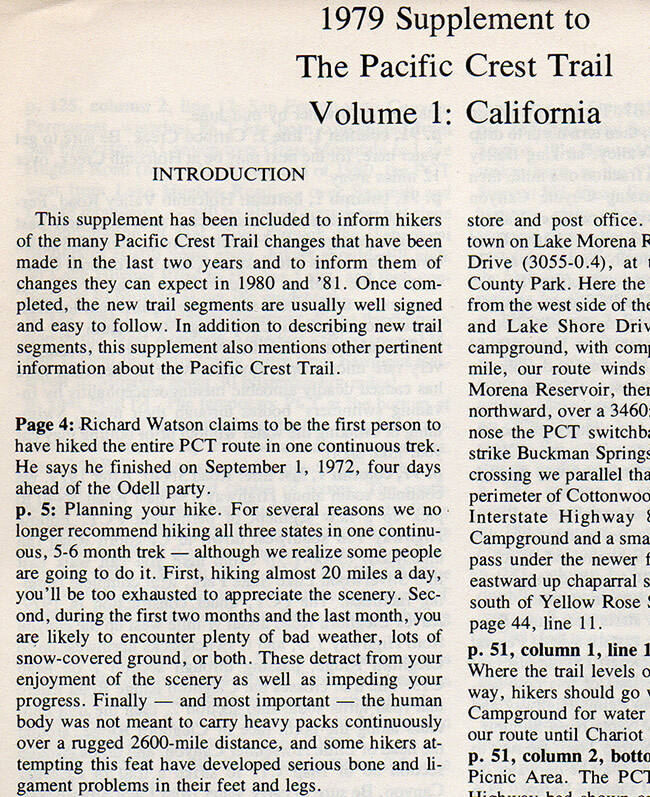 PCT 1979 Supplement: For awhile they guidebook authors recommended that you do not try and thru-hike, simply because packs are too heavy and 20 miles a day is considered exhausting. Go with the "rough idea" approach. Figure out about when you want to finish and some things/sidetrips you want to visit along the way. Don't try and determine where you are going to camp every single night for the next five months, you are wasting your time. Instantly you will discover at least sixty three reasons why you won't be able to stick to your daily itinerary. When I left I figured I would be gone a little over five months since I wanted to take my time in Washington. I knew I wanted to camp at the top of Mt. Whitney and visit the Stand By Me train bridge. Those were my only real solid plans, everything else I just figured it out as I went. I generally planned on 20 miles per day, it is easy to divide and on the conservative end of planning. Although I generally hiked about 25 miles per day, this gave me headroom for taking days off and having more food available if I needed it. You need to be able to hike 15-20 miles per day at least from the start. You can hike less distance the first week or two, but then you really have to get moving. To give you some perspective. If you leave Campo on April 15th, you have to walk about 17.5 miles per day, with no days off, in order to reach Canada by September 15th. The issue with hiking only 10 miles per day is that you need to carry twice as much food, which is a lot of weight. So you really gotta be able to do 15 miles per day from the start. 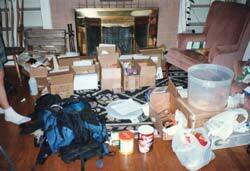 Generally plan on resupplying every 4-6 days. I've found that 9-10 days is about the most amount of food I could possibly carry. Although you could in theory resupply every 2-3 days in Southern California, you will spend a lot of time off the trail in doing so. It is hard to get to a town and not spend 3-4 hours there, in addition to the time it took you to walk or hitchhike to the town. Be realistic when planning and have reasonable expectations. It is quite easy to be overly inspired and motivated when you are in the comforts of civilization. Being mentally ready to hike the PCT is more than just clicking the Facebook "share" button on a motivational picture. It is much harder when you are out there on the trail, hot, dirty, tired, and hungry. If you tell yourself that you will hike 16 hours a day no matter what, might I ask you this? How about when you finish your job at 5pm today (since you are reading this on the clock), you work until 1am instead? Doesn't sound too exciting does it? Hiking is the same way. You get tired and unmotivated. If you are mailing boxes within the USA, you can save money my using the regional rate priority boxes. It is a bit more upfront work in that you have to special order the boxes, setup an account, and get use your own printer ink which costs more than unicorn blood, but you will save a bit of money. 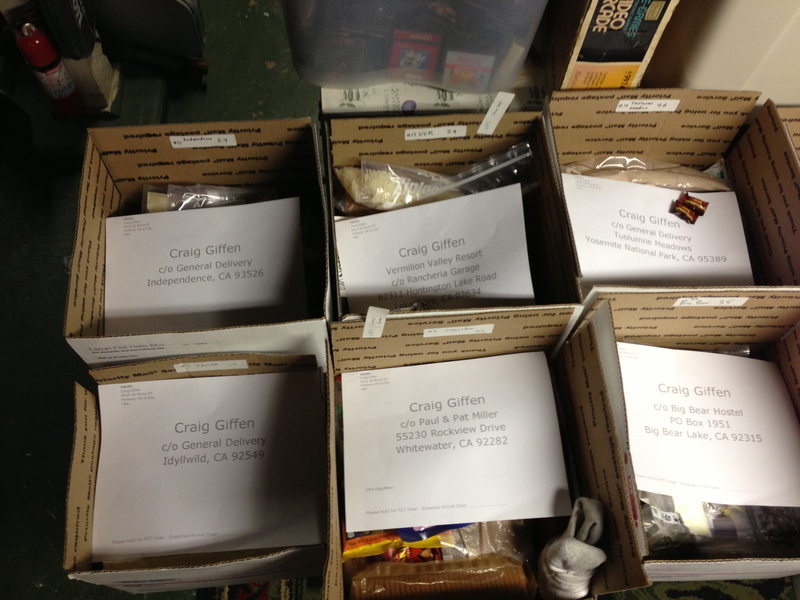 Also, be sure to put a second copy of your to/from address inside the box. I laid out all of the boxes I would need. 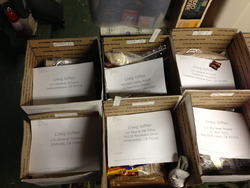 On each box I put its box number, the amount of food needed, and its destination name/city. 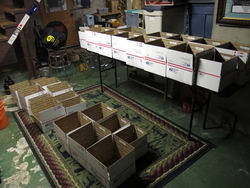 I made up to/from shipping labels, and placed two copies in each box. (One of the outside, one for the inside). I went down the entire line putting in breakfasts into every box. After that was done I went back and did the snacks and dinners. 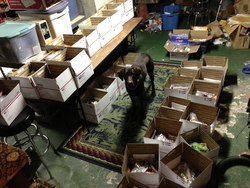 This helped to ensure that I had a variety of foods and flavors among the boxes. If you don't do it this way you can end up with "Snickers April, Milky Way May, and Jellybean June". If I had extra things, I would literally just grab a handful and throw them at the boxes...where they landed meant that is where they were supposed to go. Someday this bullet point will link to a video of me doing just that...throwing food at my resupply boxes. 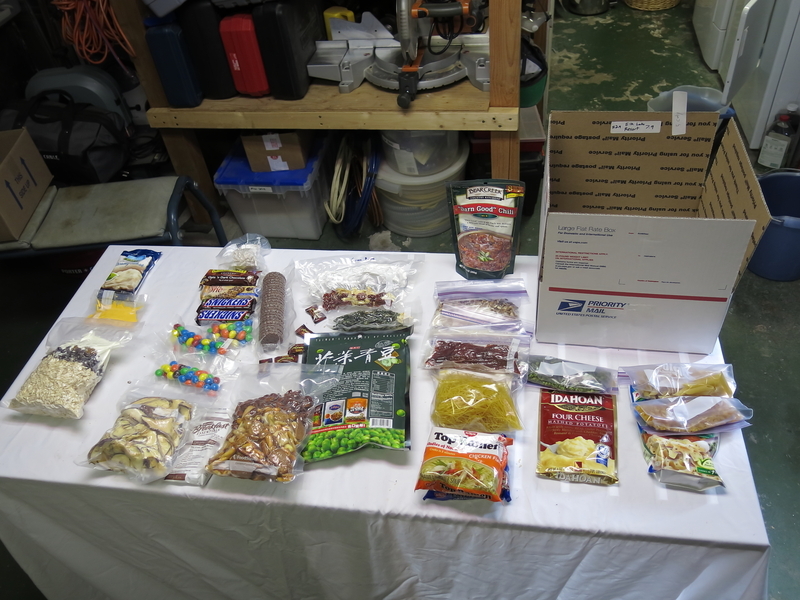 Finally, I went back through and made sure some of the rarer food items we evenly distributed over the five months. You will most likely have things like warmer clothes, alternate gear, etc that you are debating about taking but ultimately do not. Put this all in a single box where the person mailing your boxes can easily find it. 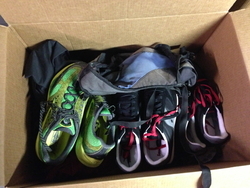 In my case I had put my extra pairs of shoes into the box along with some warm weather gear that I would later need in the North Cascades of Washington. I didn't put non-food items into my boxes since I wasn't sure exactly when I would need them. Keep the boxes open too. 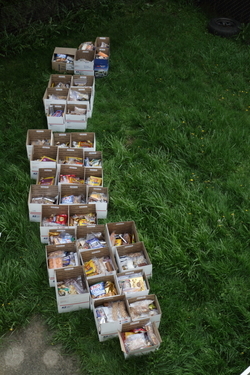 More than once I asked my wife to buy a case of Snickers and have her distribute them among the remaining boxes. Remember, don't worry about having too much extra food. Extra food means instant friends! Things I "might" need went into a box so my wife could easily find and mail something I might need. Leave the boxes open and put two shipping labels inside of each one. Put the box number, destination, and how many days of food are needed in it. "Section hiking" - This is hiking the PCT over more than one season. I section hiked the PCT over the course of 1994 and 1996. One advantage to section hiking is that you can hike the portions of the PCT at their optimum. 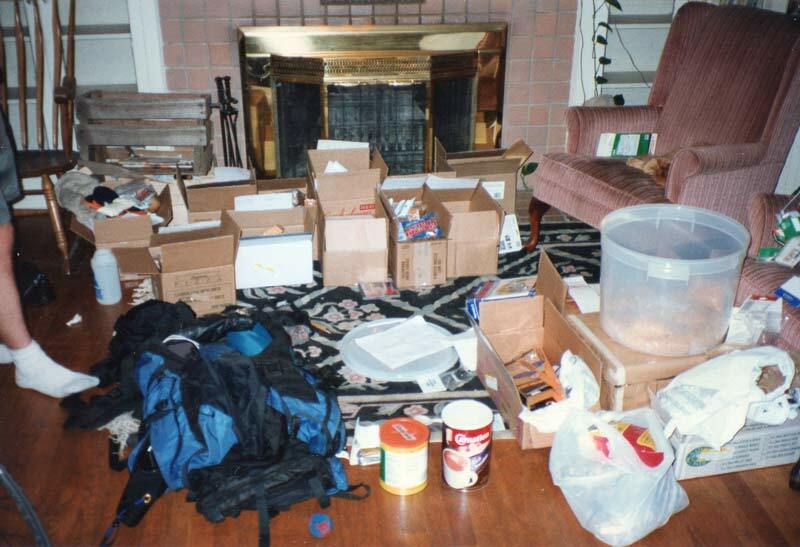 The 40 days I spent hiking across Washington in August 1994 were some of the best of my life. If you are unsure about the whole PCT thing, you can always just spend a week on the trail and see how you like it. It is quite common for people to hike a single state. Some of the more popular sections of trail are from Kennedy Meadows to Sierra City (California), Crater Lake, Three Sisters Wilderness (Oregon), and from Snoqualimie Pass to Canada (Washington). August and September are generallty the only two months that the entire PCT is mostly snow-free. By "snow free" I mean the trail is clear enough of snow that would really slow your hike down. For the most part, lakes above 5000 feet are still frozen over in early July. Southern Washington is only really hikeable in late July through September. Northern Washington is pretty snow-bound into early August. Again, this is pretty much just mid July through September. Note: the mosquitoes can be downright horrible in Oregon during the July snowmelt. The southern sections are hikeable from April through May, after that it starts getting too oppressively hot. The central and northen sections are a June through September sort of thing. I was able to hike from Mexico to Highway 58 in November 1996 without any snow problems. It was cold, but still hikeable.